Smartsheet online web forms are easy to create and customize. It's the perfect tool to effortlessly collect any kind of information. 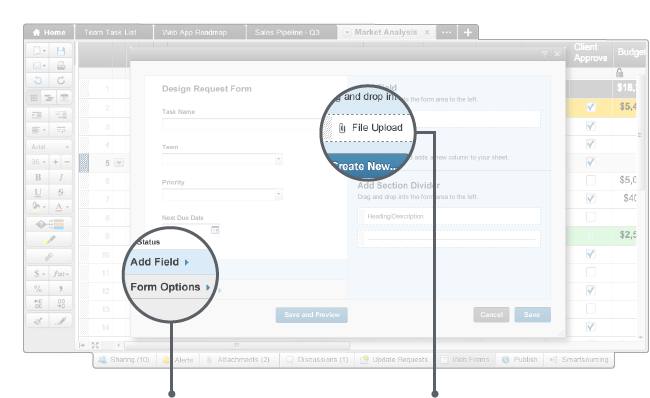 Even better – web forms are integrated with the powerful Smartsheet platform. That means you can immediately take action and collaborate, track and manage the data you collect. Event Registration FormRegister, track and manage customers for events. Collaborate on registration details with the team. Feedback FormGet feedback on a product, service or process and take action to track responses and next actions. Job application formApplicants apply for positions and attach resumes. Hiring managers manage the process.